Slide program on the evening of Friday, NOV 18. 7-FULL DAYS: $3299. (Non-refundable deposit: $500; see details below.) Limit: 10/Openings: 1. Co-leaders: Robert O’Toole & Jim Heupel. Geese, cranes, ducks, sunrises, sunsets, and blast-offs. Live, eat, and breathe photography with one of (if not the) world’s premier photographic educators at one of his very favorite locations on the planet. Plus great co-leaders and top-notch Photoshop instruction. Please see terms and deposit info below. With my ever-shrinking teaching schedule and all the specialty trips sold out, this trip may well represent a rare opportunity to learn from the best so do not wait too long before sending your deposit. 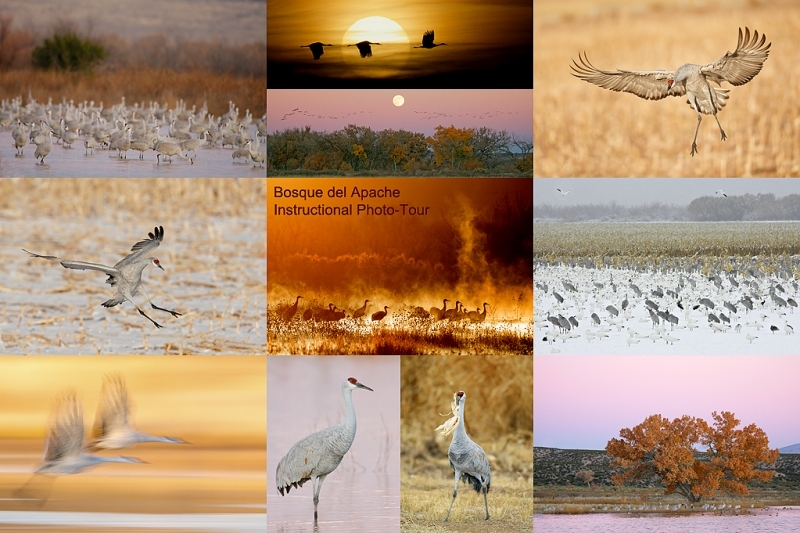 Clemens van der Werf who was on last year’s Bosque trip is already registered for this year’s. If you missed the Photographer Experience Quiz and the Mystery Photographer & Experience Level Revealed! posts on the blog, you will surely want to check them out to see what Clemens accomplished in less than a single year of bird photography. And how! 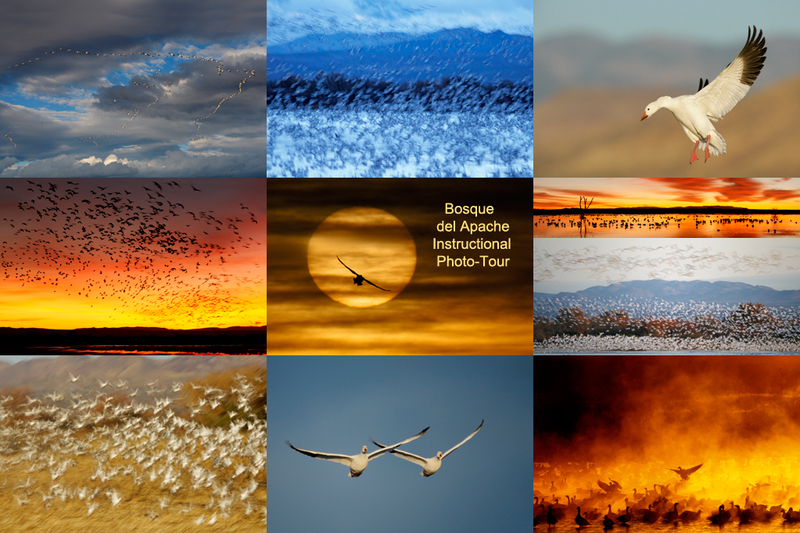 If you cannot make the IPT for whatever reason but are heading to Bosque this year it would be foolish to make the trip without our Bosque Site Guide whether this will be your first trip or your tenth. Everything that I’ve learn over the past sixteen years is revealed in detail: where to be on what wing and what weather and when to be there. Exactly what to do each morning depending on the wind direction and cloud cover (if any). I’ve seen leaders keep their groups on the Flight Deck for two to three hours wasting their time while we have moved six times during the same time span with fabulous results. In the Site Guide we teach you where to be when. And why. Learn more and order your copy by scrolling down here. Remember: you can earn free contest entries with your B & H purchases! Eleven great categories, 34 winning and honored images, and prize pools valued in excess of $20,000. Click here for details. After seeing all the great images coming from Bosque and knowing that there will be a large group of good people there makes this hugely tempting. I really do hope that one day in the future I can make it to the US for one of these events or something similar. Unfortunately that will not be this year as I will be having an interview in this week. This is one I’d love to do, but I can’t leave my family of 19 over Thanksgiving. I always enjoy reading about it and seeing your images. Just invite them all to the Crowne Plaza; you would not even have to cook!